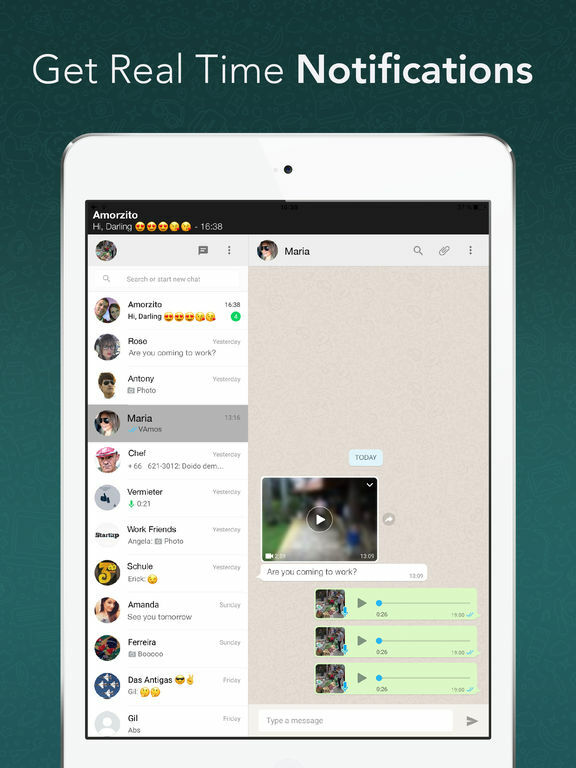 Messenger for WhatsApp reshapes communication around the globe, bringing you closer to your family, friends, and loved ones—using WhatsApp* on your iPad. With photo and text messages, and a limitless variety of exciting emojis, you’ll be able to express yourself in ways that you’ve never thought possible. Just like the web version of WhatsApp, the "Messenger for WhatsApp" is an extension of your phone, which simply mirrors your conversations and messages as they are in your phone device, that means, all your messages remain originally saved on your phone. • NOTIFICATIONS: Get Notifications to stay up to date. • PHOTOS: Send and receive photos directly in App and share them with your friends. • SECURED COMMUNICATIONS : All messages are protected by end-to-end encryption. • SAVE YOUR DATA: Store photos and videos on your iPad and share them easily with friends. • ENJOY GROUP CHATS: Share important information with your co-workers or talk about mutual interests with your closest friends. • CONNECT TO THE WORLD: Send and receive text messages that keep you connected to anyone in the world. To connect, open the "Messenger for WhatsApp" and you will see a QR code, simply ‘scan’ this code using WhatsApp on your phone and you will be logged in. You will find this option within WhatsApp settings on your phone, at "WhatsApp Web" menu. Your phone must be connected to the internet for the "Messenger for WhatsApp" to work, and in addition, make sure you have the latest version of WhatsApp is available for your phone. 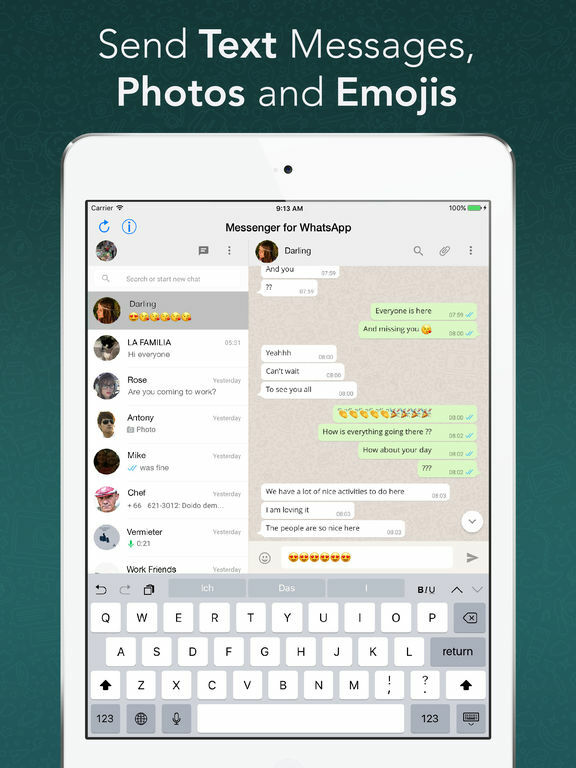 *This app is NOT affiliated with Whatsapp Inc. or any of its partners. This is an un-official app. 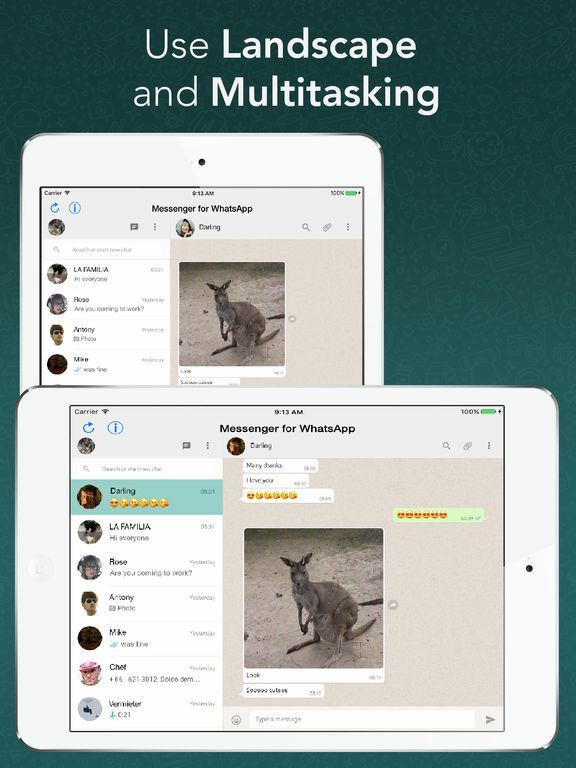 Our team is working hard to implement more features and improvements as we have in WhatsApp for phone. 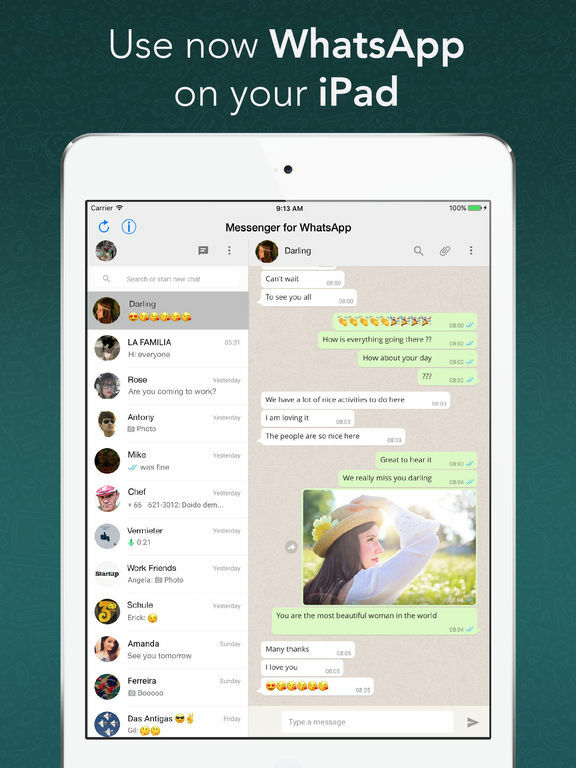 Most of the features of the web version of WhatsApp are currently supported. TOP #1 in most Countries. Many thanks for using the app and all reviews! Reflex Fruit Machine Collection: Play Real Pub Fruit Machines For Free!